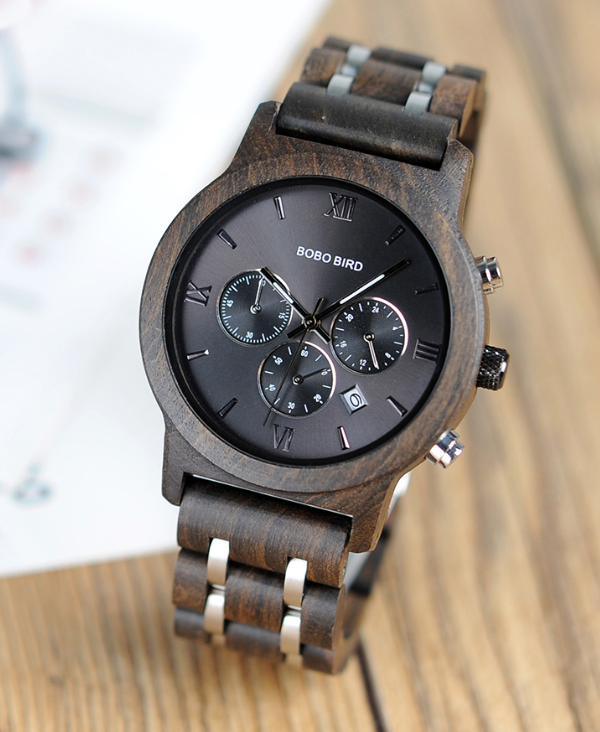 The stainless steel that runs through the bracelet style strap contrasts strikingly with the Blackwood and for added versatility, the bracelet is adjustable in size – links can be added or removed as required using the tool provided. 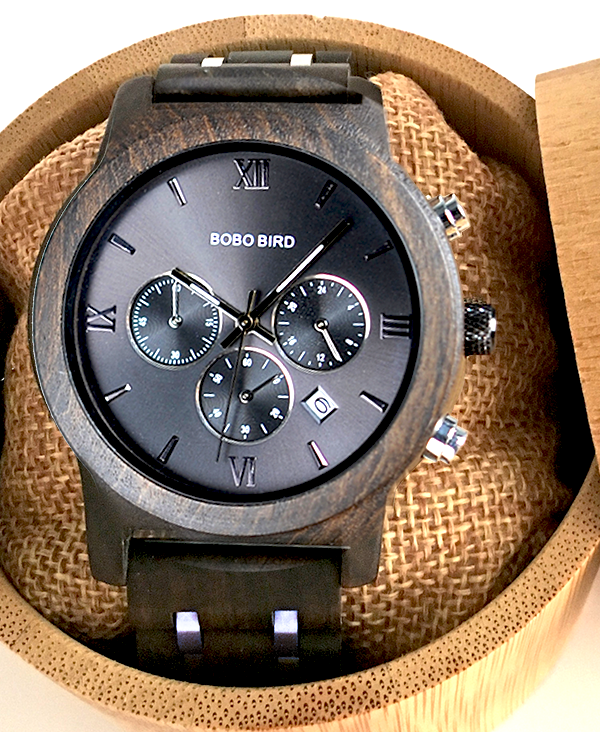 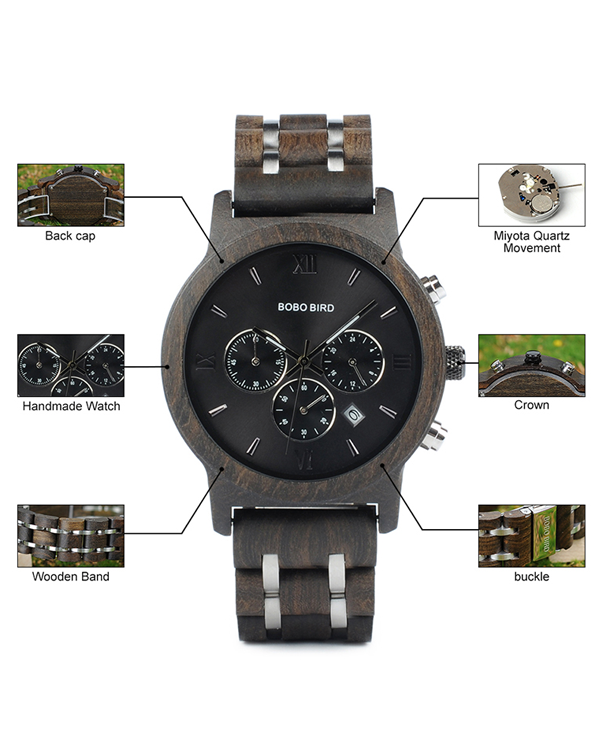 This Men’s Luxury Chronograph Military Style Wooden Watch oozes stylish, masculine features yet it’s incredibly lightweight and comfortable to wear. 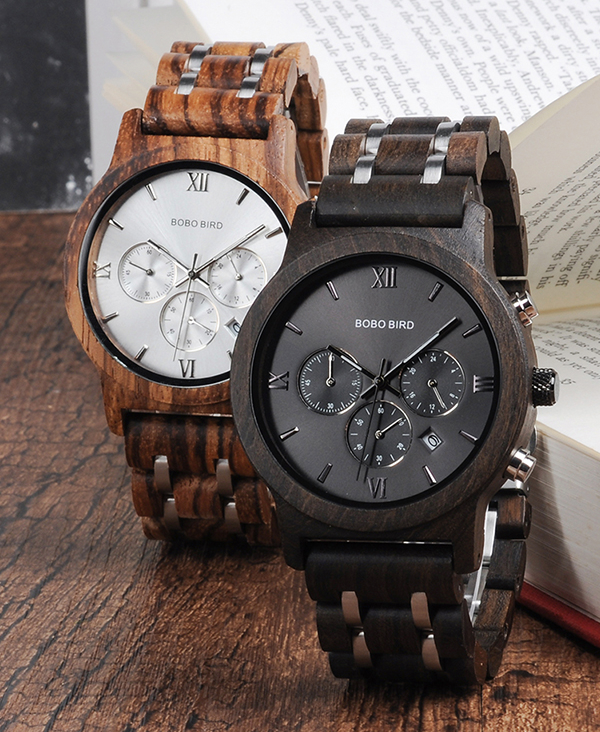 This is a watch that will appeal to those who appreciate a timepiece with the wow factor, alongside the charm and individuality of natural wood. 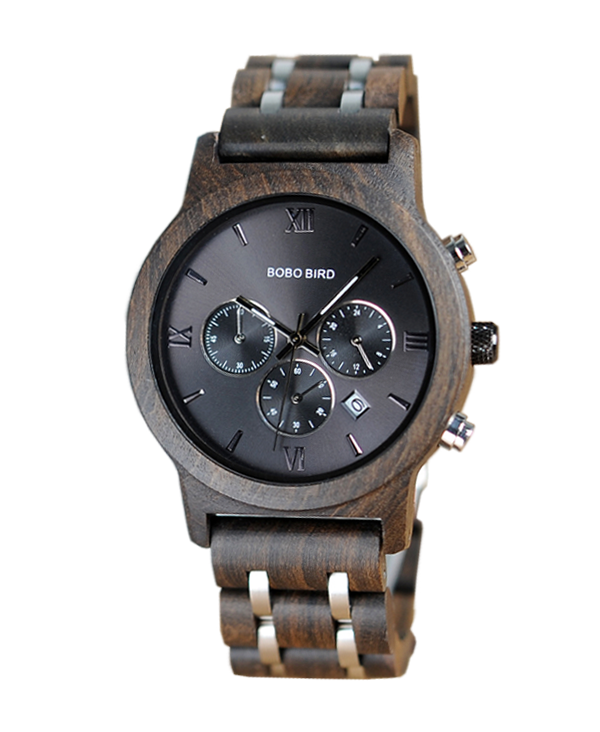 This watch design is also available in zebrawood – click here for details.